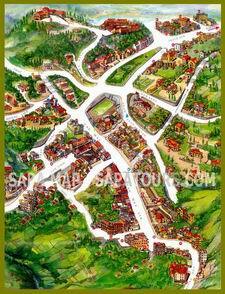 The Holiday Sapa Hotel is a new hotel. 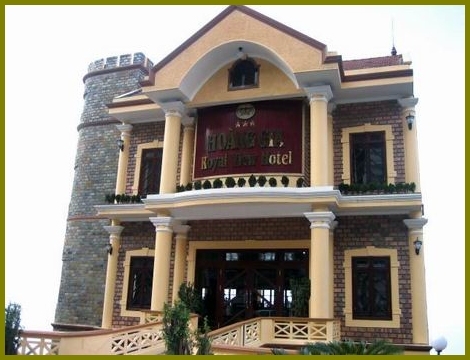 Situated in a strongholdlike building it is one of the most characteristic hotels in Sapa. 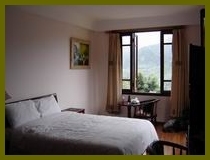 23 of 42 rooms are overlooking the beautiful valley that surrounds the formal hill station that Sapa was. The other rooms have garden view. 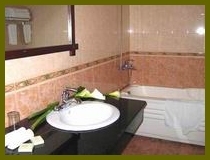 All rooms are comfortable, clean and well furnished. With reference to the sometimes chilly climate, depending on the season, all rooms are equipped with electric heaters and some have their own fireplace. 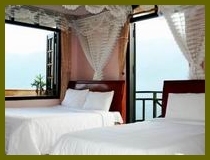 The Holiday Sapa Hotel combines modern standards with classic ambiance. It is an ideal place to relax and enjoy your holiday. Our hotel provides rooms in four different standards, set up from Standard to Suites depending on size of the room, location in the building, type of bed, ranging from normal twinbeds to kingsize beds and the availability of a balcony. 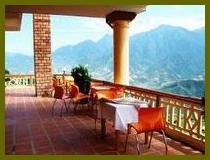 The hotel has a good restaurant and bar with a terrace for an absolute unique open air dining experience. There is a big choice of western, vietnamese and special foods. Breakfast and lunch buffets are served in the same restaurant. Breakfast buffet is included in the room price. For those guests who booked a tour and want to store some luggage for the time they are away, a free bagage storage department is available.